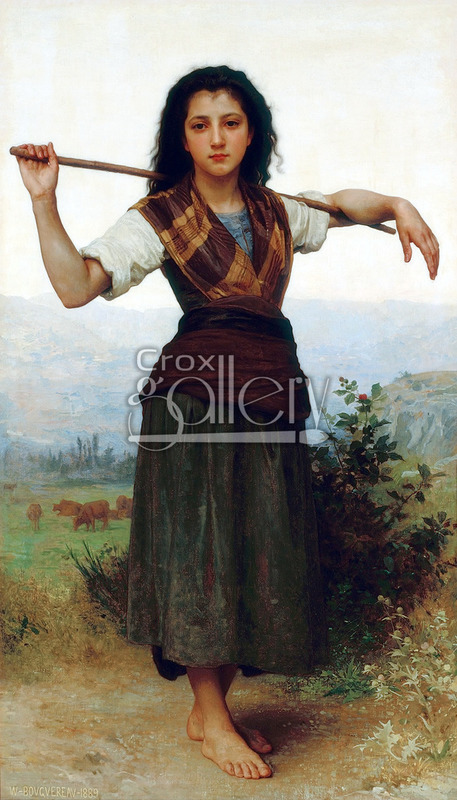 "The Shepherdess" by W. A. Bouguereau, oil reproduction. 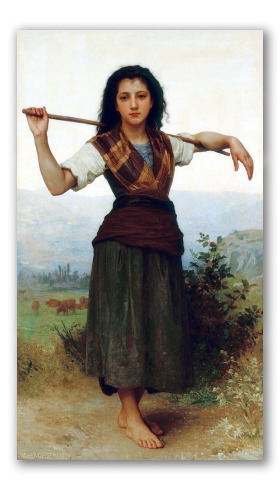 This oil painting entitled "The Shepherdess" was painted by William-Adolphe Bouguereau in 1889. It illustrates a young girl working in the Alps, wearing a dress of the time period. She is the protagonist of the composition. Her whole body is featured at the center of the canvas and it displays the most exquisite and realist brushstrokes of the artist. “The Shepherdess” is currently part of the collection of the Philbrook Museum of Art in Tulsa, Oklahoma, United States.